Once you've set-up your Email Flows, you can track the progress of both the flows and the individual emails. These insights will show you how effective your email flows are and areas for improvement. 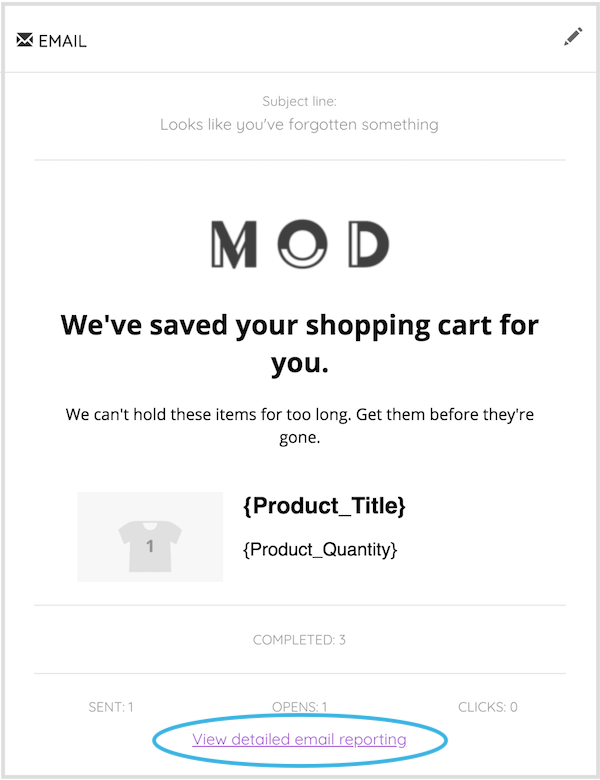 📝 Note: A customer will exit an Email Flow if they make a purchase during the flow, complete the flow or unsubscribe. 💡Tip: Above the detailed email reporting link, you can see a quick preview of how many times this email has been sent, opened and clicked. How many times the email has been sent and engaged with. Click on the number to see the specific customer details. The number of orders that have been attributed to this email, and the total revenue generated from those orders. The % of delivered emails that have been opened by customers. This is a measure of how appealing your emails are and how likely customers are to open them. The % of clicks per unique opens. This is a measure of how enticing your email content is and how likely customers are to click on links and call-to-actions within your email. The email reports provide valuable insight on how your customers respond to the content of your Email Flows. Be sure to check them regularly and modify your emails to get the best results! 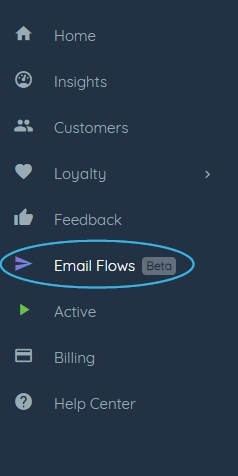 When a customer has been sent an Email Flow from Marsello, then make a purchase within 72 hours, that sale is attributed to the email flow and will be represented in the flow revenue.